The manuscript that submitted into this journal will be screened for plagiarism using Plagiarism Cheker. Regarding prior publication, we understand that authors and institutions appreciate clarity on publisher policies on prior publication and how these might sit alongside institutional requirements for authors to deposit their e-theses. 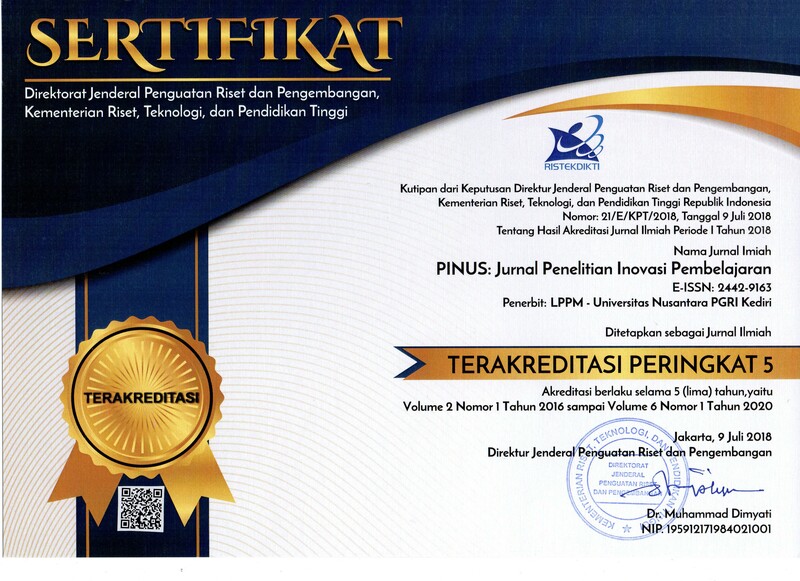 To avoid any doubt, Pinus: Team Pinus does not count publication of an academic thesis as prior publication.